Caption : VIJAYAWADA, 23/09/2010. City lad M.S.N. 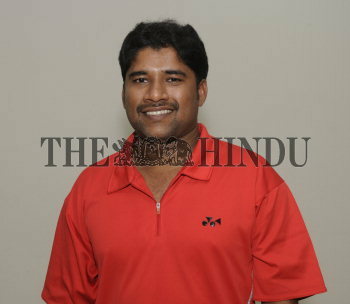 Prasad nominated as match controller for the Commonwealth Games. PHOTO: CH.VIJAYA BHASKAR.